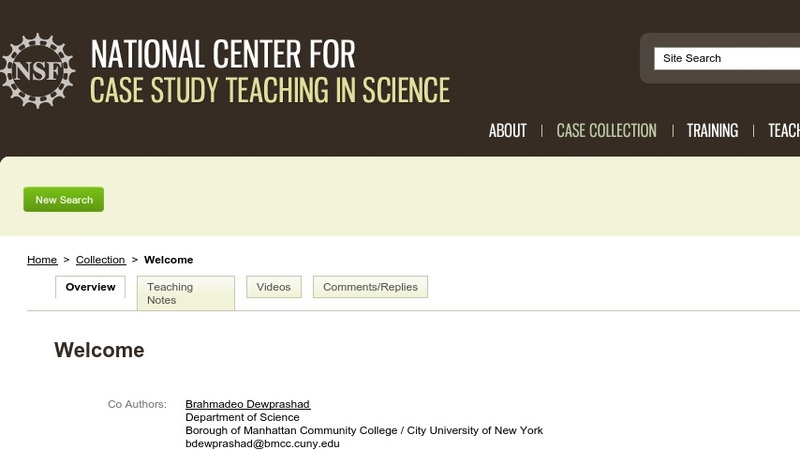 Welcome to the new National Center for Case Study Teaching in Science website. You'll find it quite different from the old site in many ways (new design, new functionality, etc. ), but with a strong element of continuity in the form of the editorial content.In general, we have streamlined the site, focusing on what we do and what we produce. This will allow us to make the information on our site deeper and richer as well as timely and accurate.